Roofing system for area "A" is nearly complete and area "B" has been started. Underground mechanicals for area area "D" (Auditorium, Instumental Music, World Language) completed. 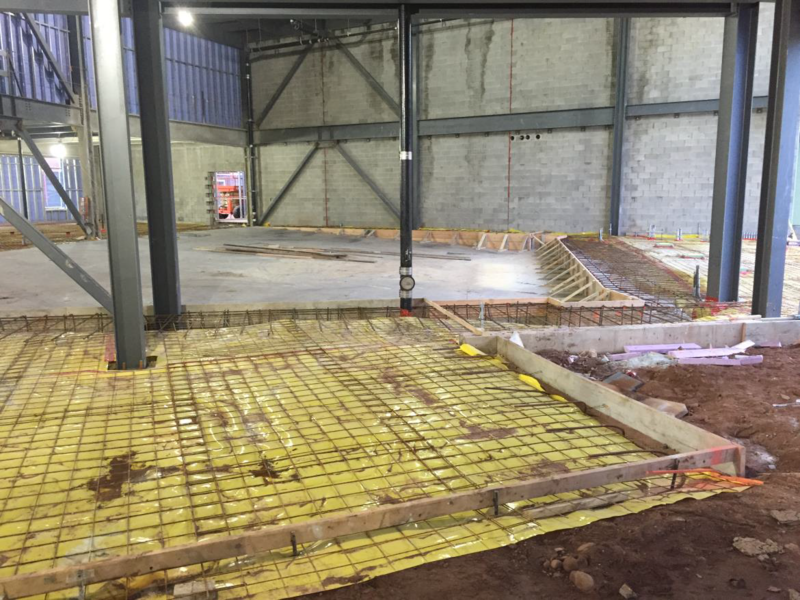 Slab on grade concrete was poured earlier this week. Exterior wall framing and sheathing completed. Exterior masonry brick work mostly completed in areas "A", "B" and the interior courtyard. Layouts and framing for interior spaces completed in area "A" and started in areas "B" and "C". Topsoil screened and relocated on the site. See further information below. Binder course of paving for the pre-K drop-off and parking area on the east side of the site completed. Installation of internal electrical and plumbing systems has begun in areas "A" and "B". Installation of sheet rock has begun in area "A". Layouts and framing for interior spaces will continue in areas "B" and "C". Topsoil that was removed from the site in the spring and stored at DPW will be screened and returned to the site. See separate note below. 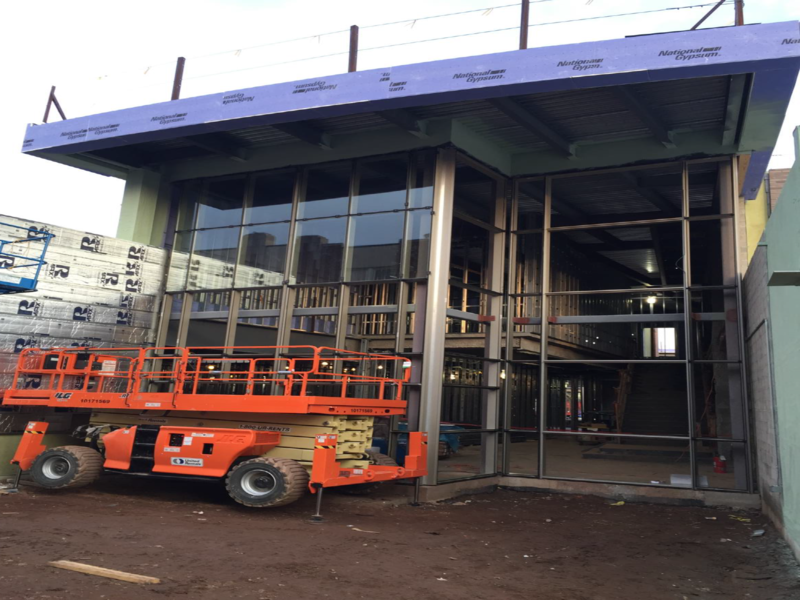 Installation of the roofing system will continue in area "B" and start in area "C"
Continue to prepare window and curtain wall frames and begin the installation. Exterior masonry brick work will continue in area "C" and "D". Installation of internal electrical and plumbing systems will continue in areas "A" and "B". Installation of sheet rock will continue in areas "A" and "B"
IMPORTANT: Starting on Saturday, December 19, 2015, topsoil being relocated back to the project site from DPW will be stockpiled in the area between the track at Sterling Field and the existing school building. Access to Sterling Field will be through the school parking lot off of Flatbush Avenue. The stockpiled topsoil will be fenced, seeded and treated with lime to contain any potential odor issues. Hauling of the topsoil will not occur on school days but on Saturdays and during the Holiday Recess. Attached is the plan associated with this activity. Below are a few pictures of the construction. As always, if you have a concern, please get in touch with myself, the project manager or the project superintendent listed below. Project Manager - Fusco Corp.